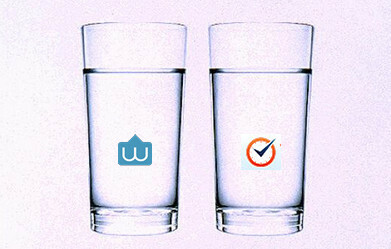 We are excited to announce that Worksnaps now works with Asana. Asana is a popular task management tool with modern design, adaptability and robust set of features. It provides a excellent combination of simplicity and power for personal and professional or group tasks, accessible anywhere. Where in Worksnaps can I find the integration with Asana? After you log onto Worksnaps, you can go to Profile & Settings >> 3rd Party Integration. Then you will see the integration option Asana at the far right. Remote work is on the rise, no one will argue with that. This has resulted in the birth of numerous tools that aim to help managers ensure productivity of their virtual employees. Two of the most popular remote time tracking tools are Worksnaps and Time Doctor. If you are a manager or a business owner managing employees, it is important for you to ensure high productivity of your team. With a remote team it may be harder to ensure as of high productivity because you can’t keep as close tabs on everyone’s daily routine. Use of such time tracking tools is a great way for you to make certain (as best as possible) that your team is working on the tasks assigned to them. These tracking tools will help make sure that they are not spending their time lazily browsing the Interwebs, streaming videos unrelated to their jobs, or posting new Facebook statuses of their “easy new job working at home”. Not only do they keep your remote team more on task, more importantly they allow you to compare productivity of specific individuals and give feedback on how they are utilitizing their time. Now that you know the importance of using such tools, you may already be wondering what are the differences between these remote time tracking tools. In order to answer this question, you should take the time to know more about them. Comparing them, their qualities, their features, and of course, their price will help you determine which of the two is the best fit for your business.